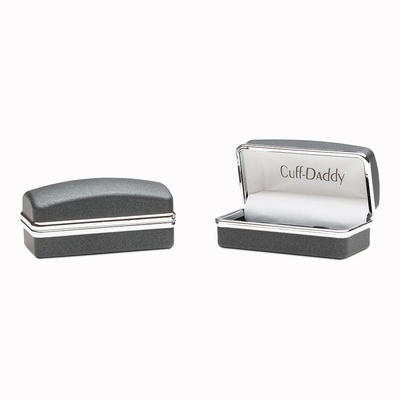 Add a rad and quirky vibe to your outfit with these wavy rhodium silver cufflinks. 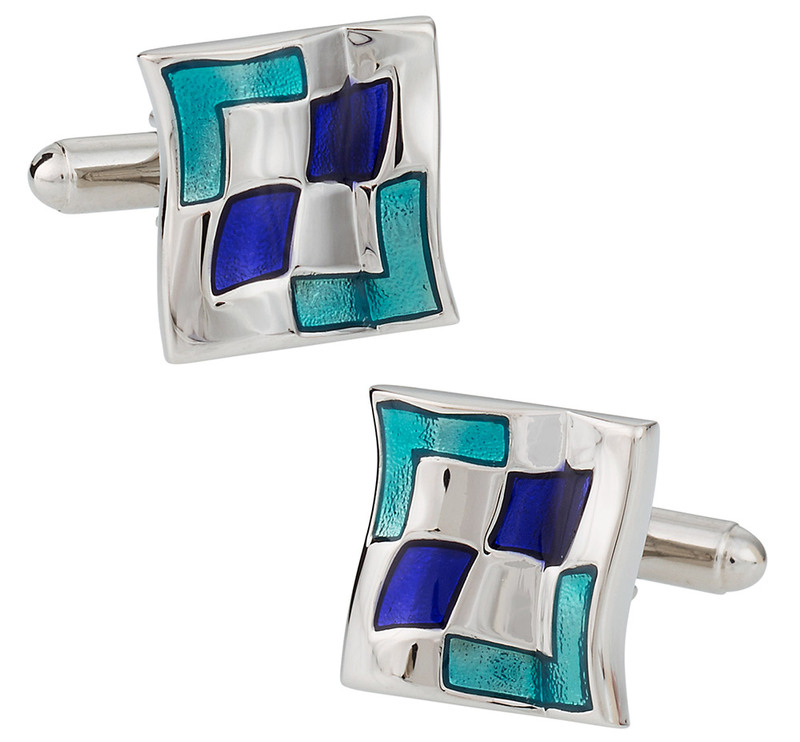 These have been detailed with brilliant blue and turquoise glass accents that are sure to turn heads once you walk in the room. The vibrant colors exude feelings of warmth and a desire to welcome people, but are not too loud. The pattern and model is gender-friendly so it's an easy favorite of customers who are into unique, eye-catching and avant-garde forms of fashion. 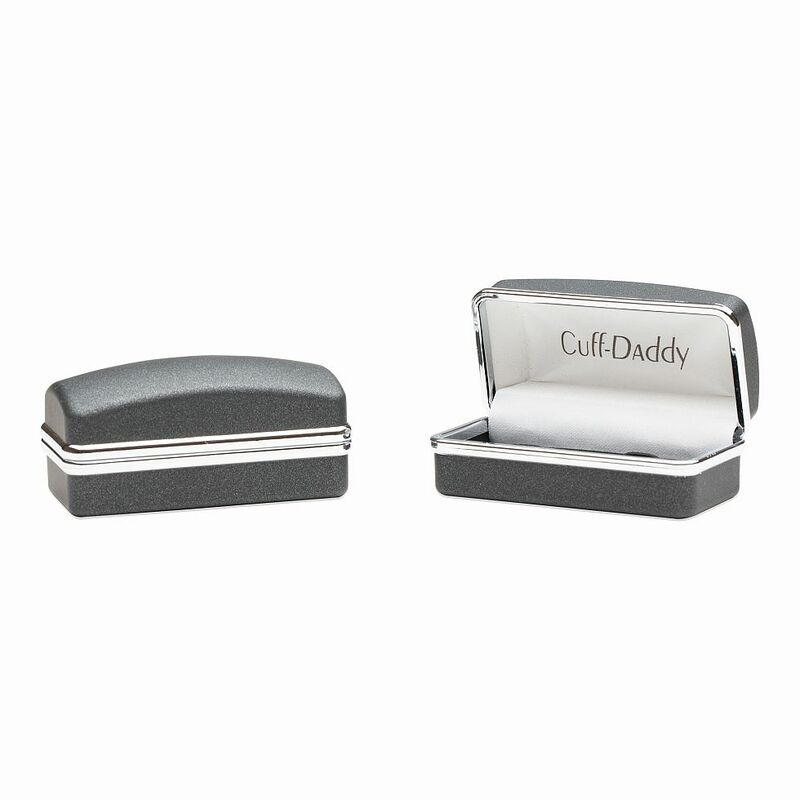 These cuff links are hardly like anything else out there so grab a pair now and get more than your money's worth! These cuffs are very contemporary and very cool to look at. The colors and the shape fit perfectly for any man.